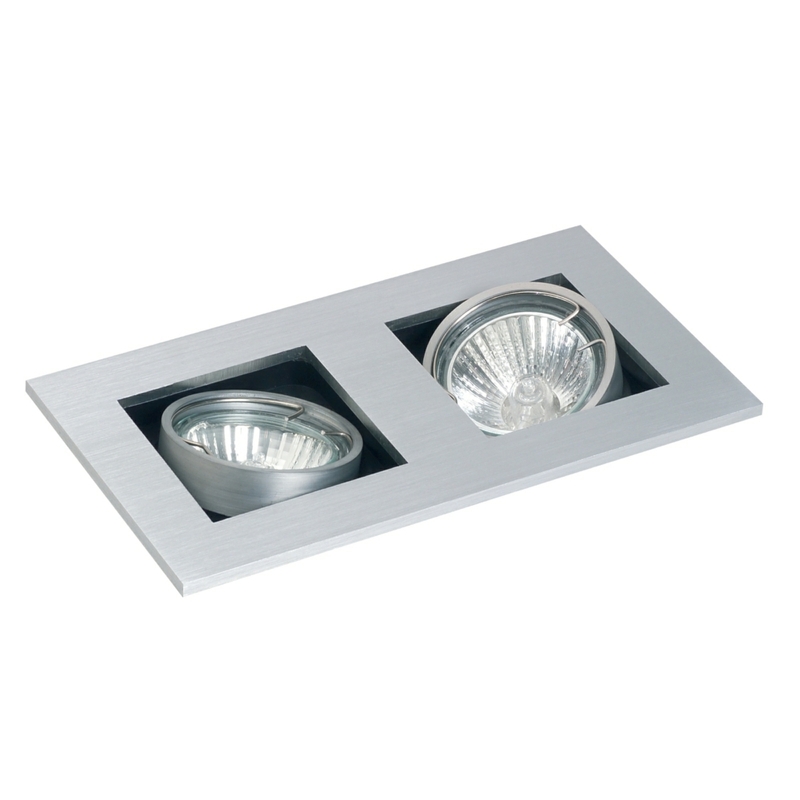 These pair of ceiling spotlights are a feature of most modern homes these days and the reason for that is simple: energy efficeint, adjustable, stylish and easy to install. The GU10 studio lights are ideal for any room and the adjustable settings makes it possible to act like a spotlight and highlight whatever feature you want. Perfect for and situation where ceilinging lighting is required, these GU10 Studio Twin Tilt Ceiling Spotlight can be used in variety of different situations wether it be kitchen or bedroom lighting or even commerial applications such as hotel lighting or lighting in a gym. It comes with a modern sleek brushed aluminium look with a twin tiltable head so the light angle can be adjusted to your requirements. What is the min. space I need / depth of the fitting?